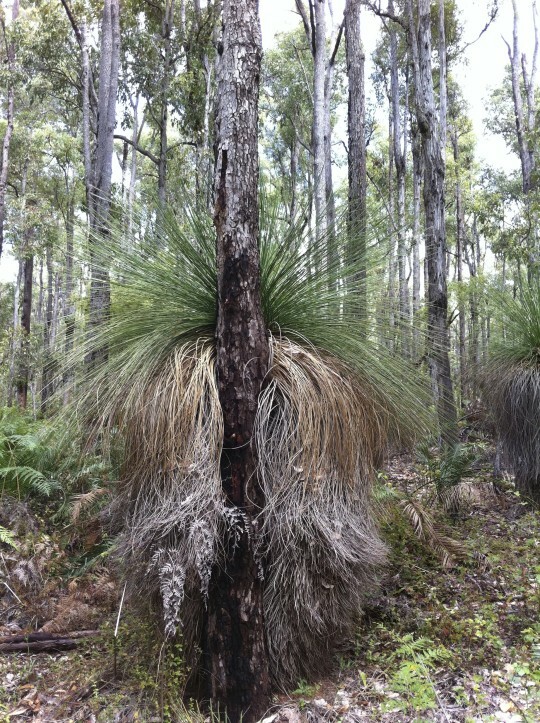 Ancient Balga, grass tree, xanthorroea in Dwellingup forest, South West Western Australia. Photo by Jenreflect, 20121104. If we can respectfully wise up and change from calling ‘Ayres Rock’ after an English mining magnate turned politician to ‘Ayers Rock/Uluru’ in 1993, then to ‘Uluru/Ayers Rock’ in 2002, then we can just drop Henry Ayres from the Rock’s association altogether. Henry Ayres was a 19th Century copper mining robber baron who devastated the landscape of Burra in South Australia. A statue in Adelaide near parliament may be appropriate. Likewise, if we can respectfully wisen up and change from calling this grass tree a ‘black boy’ to calling it a ‘xanthorroea’ then we can call it its traditional name ‘balga’. “We never catch marron when the creek didn’t run, or the river didn’t run. Always catch marron when the water runs. That’s our culture. You gotta give ’em a chance to breed. – Partick Hume, 2008, oral history , Kaartdijin Noongar, South West Aboriginal Land and Sea Council, Western Australia. by David Suzuki, published in The Vancouver Sun, 20150608, ^http://www.vancouversun.com/technology/David+Suzuki+Aboriginal+people+environmentalists+best+protecting+planet/11112668/story.html (contributed by our supporters Barbara and Stan). <<… Using DNA to track the movement of people in the past, scientists suggest our species evolved some 150,000 years ago on the plains of Africa. That was our habitat, but unlike most other animals, we were creative and used our brains to find ways to exploit our surroundings. We were far less impressive in numbers, size, speed, strength or sensory abilities than many others sharing our territory, but it was our brains that compensated. Over time, our numbers increased and we moved in search of more and new resources (and probably to check out the Neanderthals with whom we crossbred before they went extinct). When we moved into new territories, we were an alien creature, just like the introduced ones that trouble us today. George Monbiot of The Guardian makes the point that we can trace the movement of our species by a wave of extinction of the big, slow-moving, dim-witted creatures that we could outwit with even the simplest of implements like clubs, pits, and spears. Our brains were our great evolutionary advantage, conferring massive memory, curiosity, inventiveness and observational powers. Our brains gave us a huge advantage and it did something I think is unique — it created a concept of a future, which meant we realized we could affect that future by our actions in the present. By applying our acquired knowledge and insights, we could deliberately choose a path to avoid danger or trouble, and to exploit opportunities. I believe foresight was a huge evolutionary advantage for our species. And that’s what is so tragic today when we have all the amplified foresight of scientists and supercomputers, which have been warning us for decades that we are heading down a dangerous path, but now we allow politics and economics to override this predictive power. No doubt after we evolved, we quickly eliminated or reduced the numbers of animals and plants for which we found uses. We had no instinctive behavioural traits to restrict or guide our actions — we learned by the consequences of what we did. And all the mistakes that we made and successes that we celebrated were important lessons in the body of accumulating knowledge of a people in a territory. That was very powerful and critical to understanding our evolutionary success – it was painstakingly acquired experience that became a part of the culture. We are an invasive species all around the world, and I find it amazing that our brains enabled us to move into vastly different ecosystems ranging from steaming jungles to deserts, mountains to arctic tundra, and to flourish on the basis of the painful accumulation of knowledge through trial and error, mistakes, etc. So it was the people who stayed in place as others moved on, who had to learn to live within their means, or they died. That is what I believe is the basis of indigenous knowledge that has built up over millennia and that will never be duplicated by science because it is acquired from a profoundly different basis (I wrote about the differences in a book, Wisdom of the Elders). The wave of exploration hundreds of years ago brought a very different world view to new lands — North and South America, Africa, Australia — based on a search for opportunity, resources, wealth. There was no respect for flora and fauna except as potential for riches, and certainly no respect for the indigenous people and their cultures. Of course, by outlawing language and culture of indigenous peoples, dominant colonizers attempt to stamp out the cultures which are such impediments to exploitation of the land. Tom King’s book, The Inconvenient Indian, argues very persuasively that policies are to “get those Indians off the land”. I think of my grandparents as part of the wave of exploration of the past centuries. They arrived in Canada from Japan between 1902 and 1904. When they came on a harrowing steamship trip, there were no telephones to Japan, no TV, radio, cellphones or computers. They never learned English. They came on a one-way trip to Canada for the promise of opportunity. Their children, my parents, grew up like all the other Japanese-Canadian kids at that time, with no grandparents and no elders. In other words, they had no roots in Japan or Canada. To them, land was opportunity. Work hard, fish, log, farm, mine, use the land to make money. And I believe that is the dominant ethic today and totally at odds with indigenous perspectives. Remember when battles were fought over drilling in Hecate Strait, supertankers down the coast from Alaska, the dam at Site C, drilling for oil in ANWR, the dam to be built at Altamire in Brazil? I was involved in small and big ways in these battles, which we thought we won 30 to 35 years ago. But as you know, they are back on the agenda today. So our victories were illusions because we didn’t change the perspective through which we saw the issues. That’s what I say environmentalists have failed to do, to use the battles to get people to change their perspectives, and that’s why I have chosen to work with First Nations because in most cases, they are fighting through the value lenses of their culture. The challenge is to gain a perspective on our place in nature. That’s why I have made one last push to get a ball rolling on the initiative to enshrine the right to a healthy environment in our constitution. 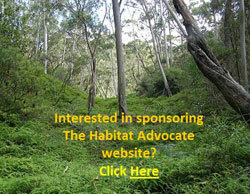 It’s a big goal, but in discussing the very idea, we have to ask, what do we mean by a healthy environment. We immediately come to the realization that the most important factor that every human being needs to live and flourish is a breath of air, a drink of water, food and the energy from photosynthesis. Without those elements, we die. Noongar people are the Aboriginal traditional owners of the south-west of Western Australia and have been for over 45,000 years. <<Noongar boodja (country) extends from north of Jurien Bay, inland to north of Moora and down to the southern coast between Bremer Bay and east of Esperance. It is defined by 14 different areas with varied geography and 14 dialectal groups. We have a deep knowledge and respect for our country, which has been passed down by our Elders. Noongar people have a profound physical and spiritual connection to country. It relates to our beliefs and customs regarding creation, life and death, and spirits of the earth. Spiritual connection to country guides the way we understand, navigate and use the land. It also influences our cultural practices. For thousands of years Noongar people have resided on and had cultural connection to the booja – land. Everything in our vast landscape has meaning and purpose. We speak our own language and have our own lore and customs. The lore is characterised by a strong spiritual connection to country. This means caring for the natural environment and for places of significance. Our lore relates to ceremonies, and to rituals for hunting and gathering when food is abundant and in season. Connection to booja is passed on through our stories, art, song and dance. Noongar people not only survived European colonisation but we thrived as family groups and sought to assert our rights to our booja. For Noongar people, the south-west of Western Australia is ngulla booja – our country. Noongar lore and custom guide the ways in which we define our country and our rights to it. Lore influences how we connect with and care for the land. As Noongar people we have a duty to speak for our country, to acknowledge its value to our communities and to observe lore that governs who may or may not ‘speak for country’. Noongar people have always used our knowledge of the six seasons in the south-west of Western Australia to hunt, fish, and gather only the most ripe and abundant food sources for our needs. The rituals and ceremonies performed by Noongar people over many thousands of years reflect our sustainable use of the environment and reinforce our connection to country. 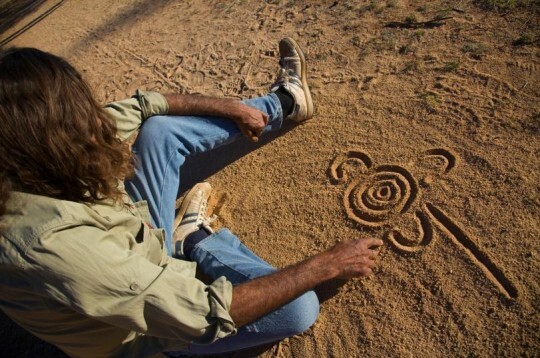 These rituals include domestic and social customs that observe Noongar lore governing the use of land and resources. An important and significant part of Noongar culture is the teaching of sustainable environmental practices, handed down by our Elders. “We come here to this place here, Minningup, the Collie River, to share the story of this area or what makes it so special. It is the resting place of the Ngangungudditj walgu, the hairy faced snake. Baalap ngany noyt is our spirit and this is where he rests. You have big bearded full moon at night time you can see him, his spirit there, his beard resting in the water. And we come to this place here today to show respect to him plus also to meet our people because when they pass away this is where we come to talk to them. Not to the cemetery where they are buried but here because their spirits are in this water. This is where all our spirits will end up here. Karla koorliny we call it. Coming home. Ngany kurt, ngany karla – our heart, our home. This, our Beeliargu, is the river people. So that’s why we always come to this Minningup. It’s very important. This entry was posted on Friday, April 14th, 2017	and is filed under 04. + Ecological Jurisprudence, 13 Deep Change Management!, Ph03 Ecocentric Ethics. Yes, I fully agree that if we can respectfully wise up on place and plants names we should be able to respectfully wise up on accepting and adopting Indigenous Peoples’ perception of their place and dependence on the natural environment, especially, as David Suzuki tells us, that doing so is crucial for us, if we are to live sustainably on this planet of ours. 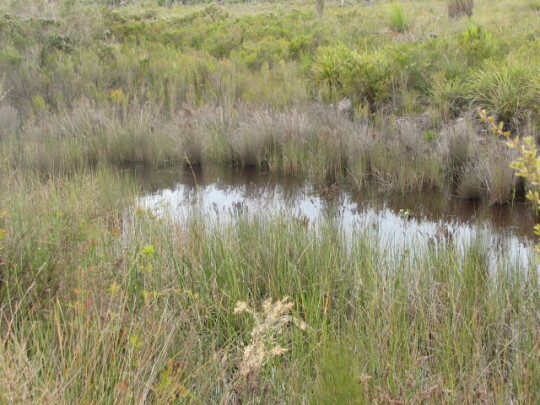 After all, Aboriginal people lived on this island continent, that we now call Australia, sustainably for over fifty thousand years, and in contrast, it took us just over two hundred years to create an unprecedented biodiversity crisis which if not urgently addressed, will threaten our livability if not existence.